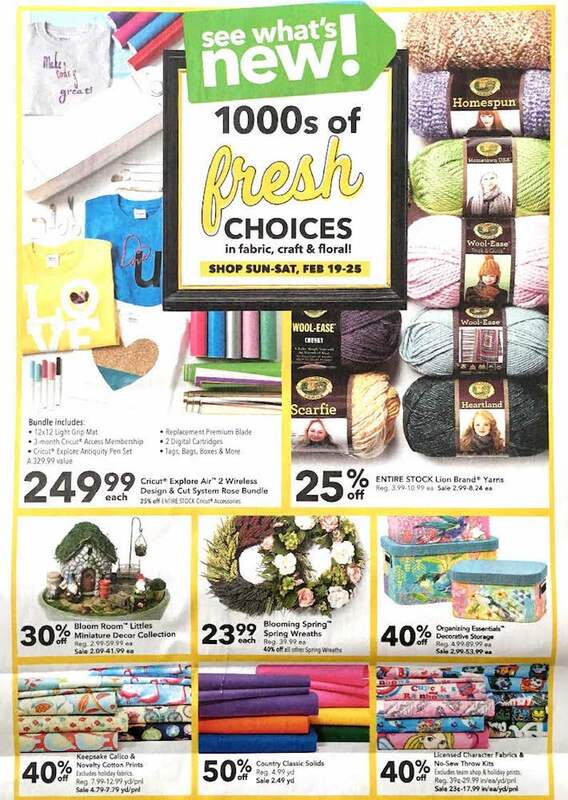 Here is the JoAnns weekly ad for February 16 – 20, 2017. It is the President’s Day sales ad. 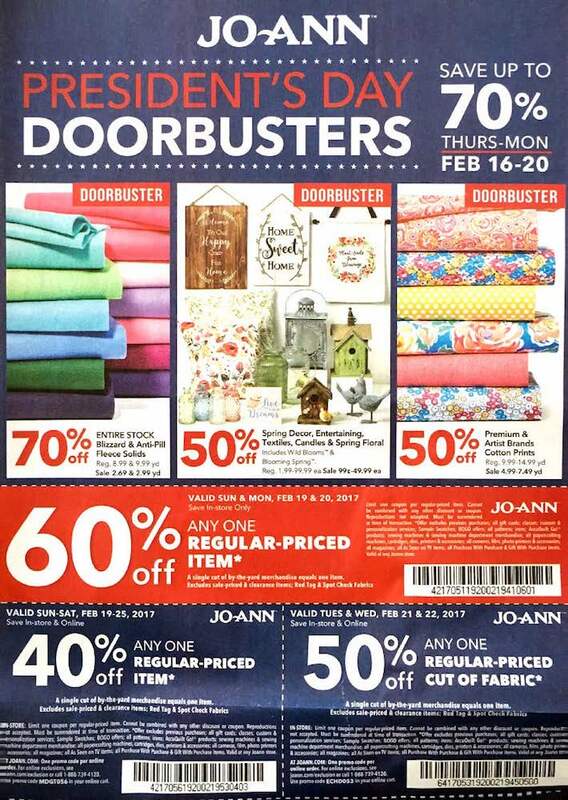 Some of the best doorbusters include 70% off select Blizzard and Anti-Pill fleece fabric, 50% off Spring decor, and 50% off premium and artist brand cotton fabrics. They will release an occasional The JoAnns weekly ad is released in the Sunday newspaper circular occassionally, but not every week. When they do release a sales ad you can usually find great deals and coupons in it. 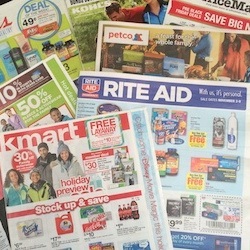 They will also mail ads to customers who are on their free mailing list. To sign-up for the mailing list visit a JoAnns store. 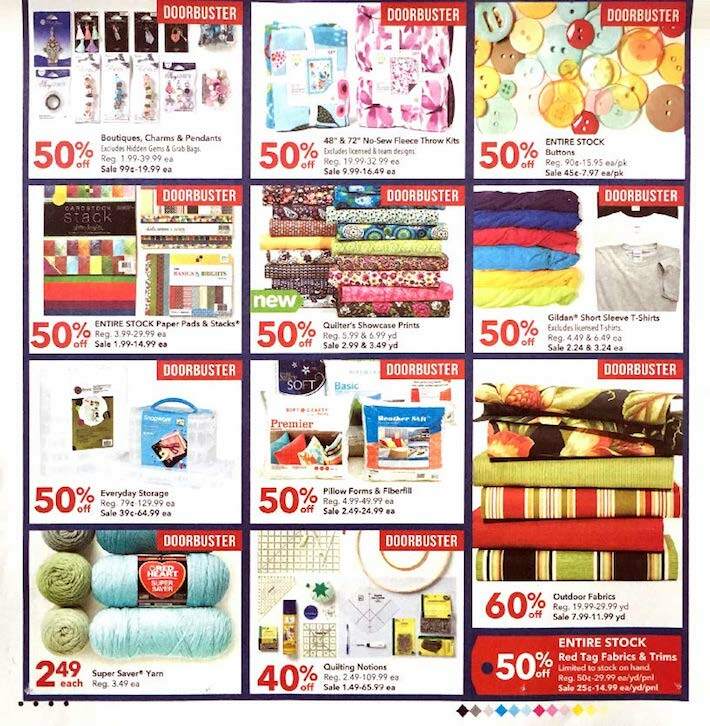 JoAnn Fabrics and Craft stores are the nations leading fabric and sewing store. They offer sewing and crafting classes as well as product demos to customers who are interested in pursuing a new skill. In addition to selling fabrics JoAnn’s also carries a huge line of scrapbooking paper, knitting tools, baking supplies, and florals. 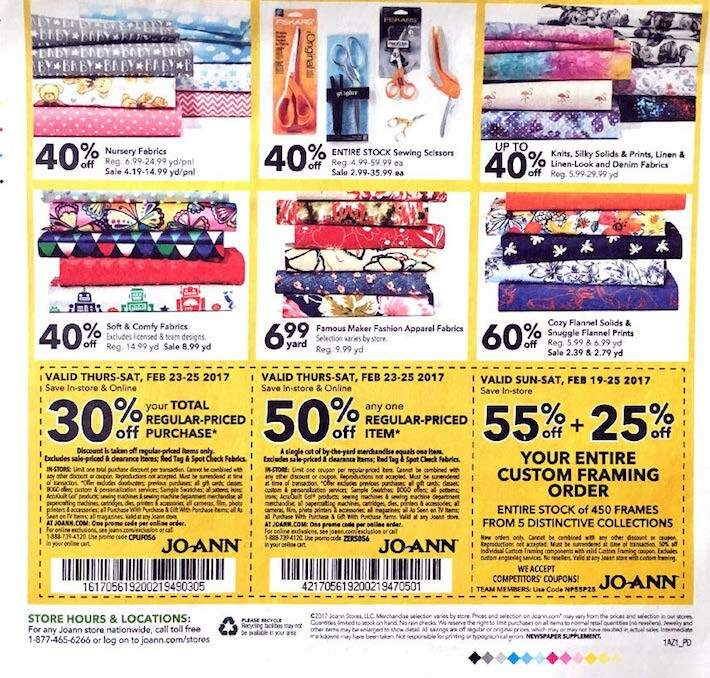 JoAnn Fabrics offers a 15% discount for teachers, 10% for VIP members, students, and non-profits. They will also mail out sales flyers to members and they publish a weekly ad in the Sunday newspaper occasionally.